Alberta Association of Immigrant Serving Agencies: Alberta Immigrant Serving Sector Compensation Report. Calgary, 2016. The purpose of the report is to provide the AAISA membership, funders, and other interested stakeholders, an updated review of the Sector Compensation Committee’s initiatives through the years 2007 to 2014. The Sector Compensation Committee’s intent in producing this report is to highlight the positive progress made through the project’s research initiatives, to the advances made in achieving equivalent salaries for settlement and integration practitioners, in comparison to other human service professionals working in both government and other non-profit sectors. Mindwise Communications completely rewrote and organized the research findings using additional research as needed; provided and wrote conclusions and recommendations; and then wrote the Executive Summary for this project. The CBW modules’ format includes instruction on the content of the material combined with practical exercises and hands-on activities. The booklet is a communication and planning tool. 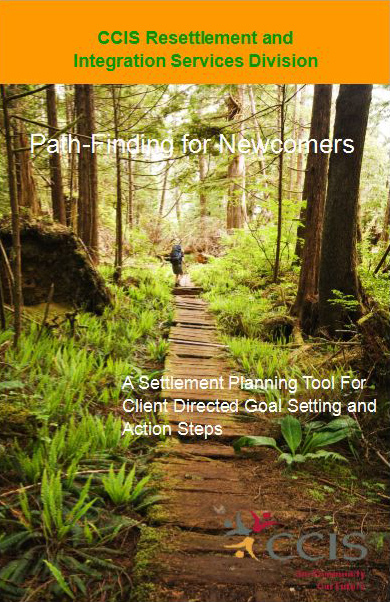 It allows the client and settlement counselor to discuss the newcomer’s settlement needs, and goals for the future. 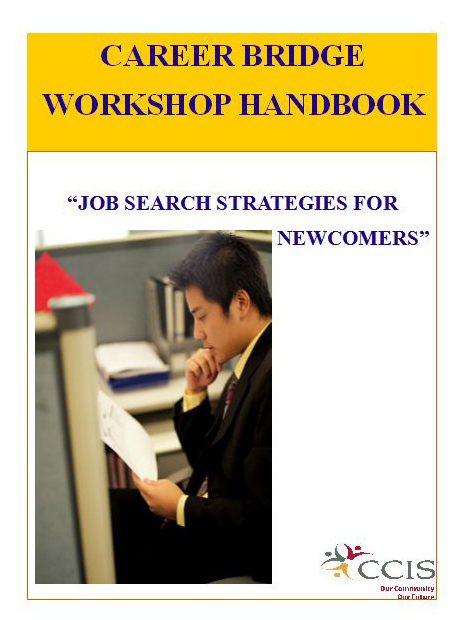 It is an action plan for positive results towards the newcomer’s definition of success. As part of the agency’s ongoing development of resettlement, employment and integration services, it was requested of Mindwise Communications to compile a detailed description of the Integrated Service Program operations (ISP). The purpose was to provide an overview of how the ISP works within the context of the agency and within the framework of the overall client resettlement process. It was hoped by supplementing the application document with a broader picture analysis of the agency’s services and the needs of the clients, both the agency and Citizenship and Immigration Canada (CIC), in partnership, can better equip themselves with information for future planning. The planning would occur within the new CIC framework of an integrated, client centered, evidence based resettlement model. 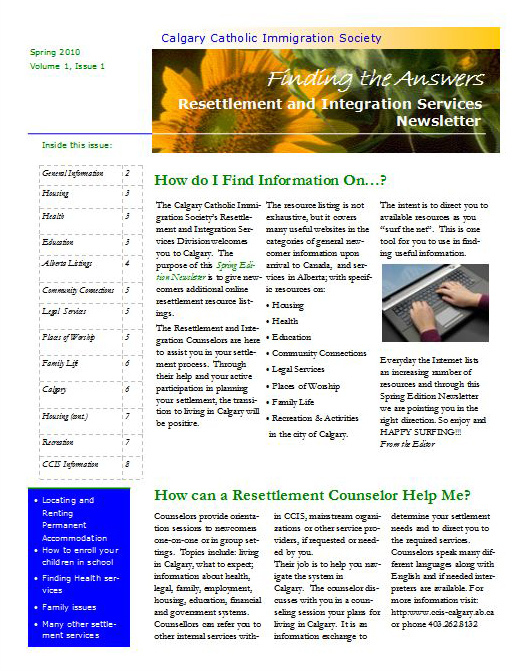 The purpose of this Newsletter is to give additional online resettlement resource listings and to explain what settlement services the agency provides for newcomers to Calgary. Mindwise Communications consulted on these projects to collect the information from Subject Matter Experts (SMEs) and the committee to compile, write, review and format the original documents. IRP8 was initially published in July of 2002 after Petroleum Services Association of Canada, PSAC, formed the committee to develop recommended practices for equipment, procedures and personnel to safely handle the fluids associated with the pumping of flammable fluids. IRP 15 was initially sanctioned and published in November 2003. Mindwise Communications consulted on this project through PSAC to collect the information from SME’s in the committee to compile, write, review and format the original document. Through CAPP’s committee, Mindwise Communications collected information from SME’s and wrote the original document.